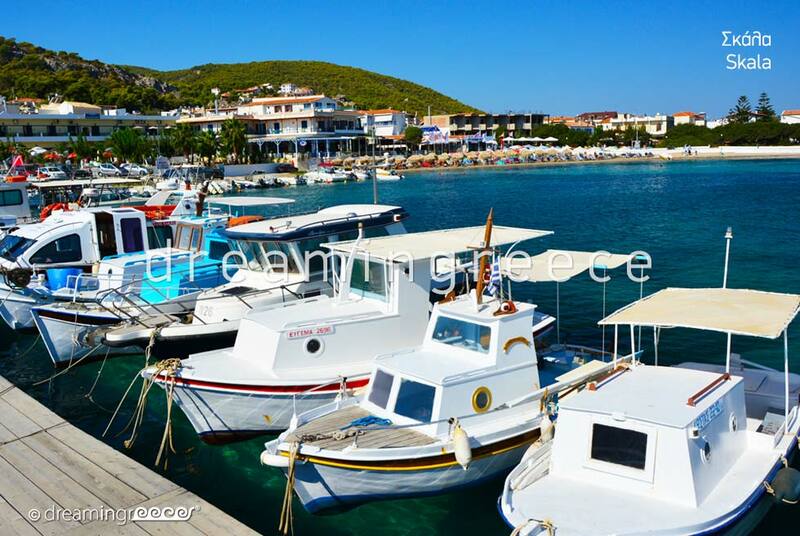 Just 55 minutes away from the port of Piraeus, Agistri Island is a green paradise. 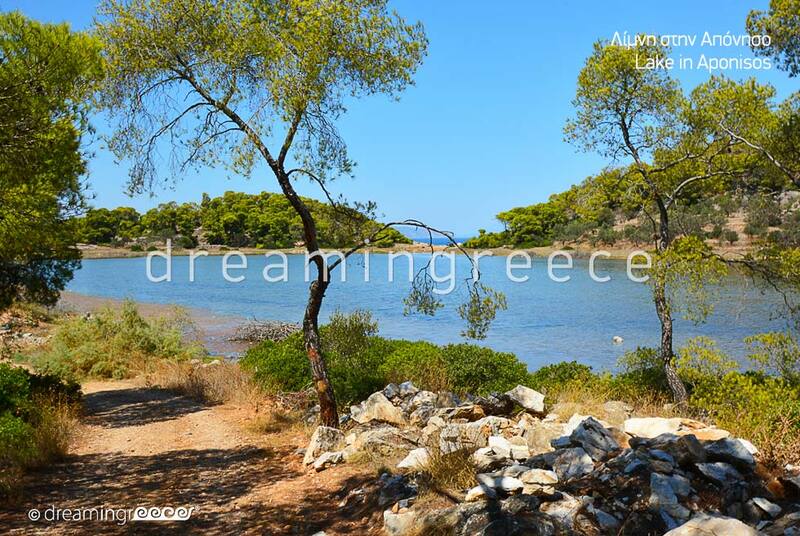 This island, due to its proximity to Athens and its small size is ideal for short breaks away from the everyday life stress. However, this does not mean that it is not a beautiful destination for summer holidays. 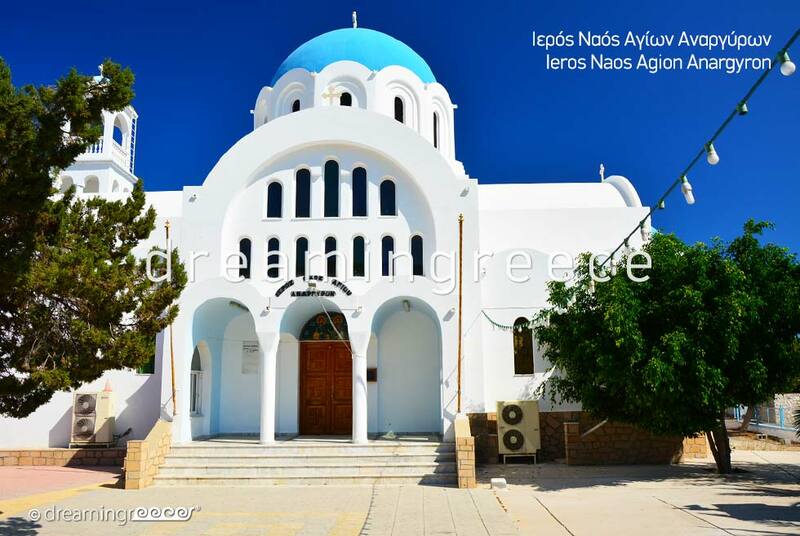 Agistri has two ports approachable by ships: Skala (a physical port) and Megalochori or Milos (the administrative center). Skala’s port is reachable by ferry boats from Piraeus (2 hours) whereas Milos’ by flying dolphins (within 55 minutes). Both ports are connected with Aegina Island during all seasons. Skala is the most cosmopolitan part of the island. It offers numerous accommodation options, beautiful taverns, stylish cafés and bars. 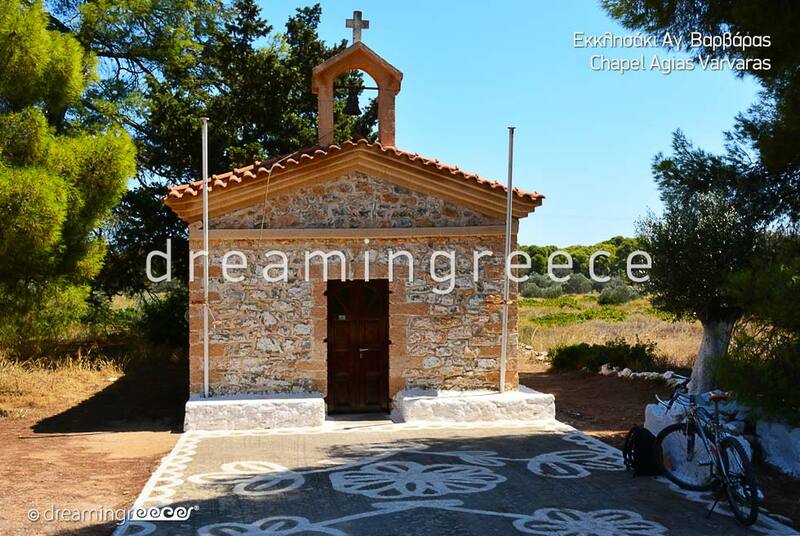 In the village of Skala, the picturesque, whitewashed Agion Anargiron (Saints Anargiron) Church with the blue dome; a "brand-mark" of this small island, dominates. Megalohori is ideal for walks. With its picturesque cobblestone streets passing by the traditional houses with their flowery courtyards and whitewashed terraces, has something of the Cyclades’ charm. Here as well, the visitor can find several accommodation choices, restaurants, cafés and bars. Despite the steady growth of tourism, the island has managed to retain its traditional "character" and is still considered to be a magnet for those seeking peace, relaxation, solitude and contact with nature. 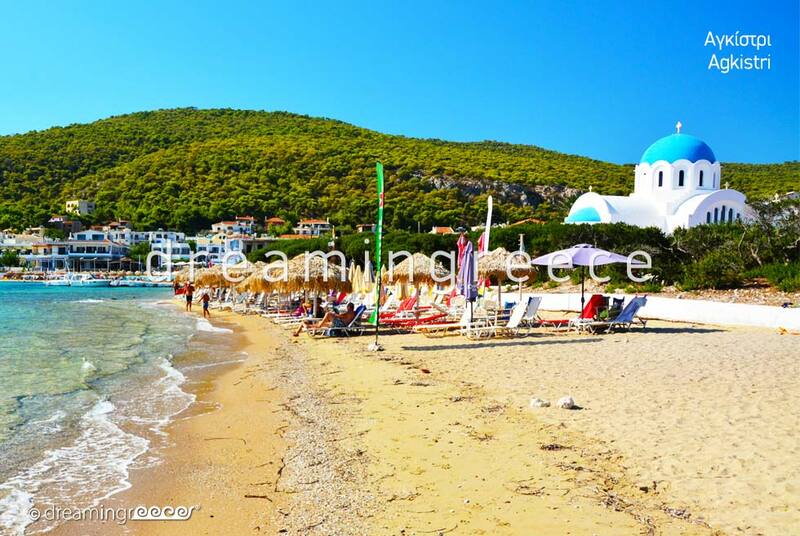 Agistri Island, with its pine forests of great natural beauty, is Saronic’s Gulf small paradise. It is, perhaps, one of the last romantic destinations in Greece. Agistri is famous for its crystal clear water beaches and sheltered bays; something that compensates even the most demanding visitors. Most beaches have either sand or pebbles. Skala, Skliri, Chalikiada, Mareza, Megalohori, Mikri (Little) and Megali (Big) Dragonera and Aponisos are island’s most famous beaches. More specifically, the "exotic" Aponisos beach ends in small, flat rocks where pines “embrace” the sea, creating a landscape of heavenly beauty. Here the visitor can enjoy the most beautiful sunset of the entire Saronic Gulf. Finally, the path to both Mikri (Little) and Megali (Big) Dragonera is also breathtaking while it harmoniously “marries” the green pines with the deep blue sea. To reach Agistri, you can take the ferry-boat from Gate E8 at the port of Piraeus, from where ferry boats, which can transfer cars or motorcycles, depart daily, whereas the trip lasts approximately 2 hours. You can also get there by a flying dolphin in just 55 minutes. During summer months, the Agistri Express high speed boat as well as smaller boats operates daily, connecting the island of Aegina with Agistri. To move around on the island you can use the private shuttle bus which performs daily routes from Skala to Megalochori, Limenaria and Aponisos. To discover the island, you can also rent a motorcycle, or even a bicycle for the more adventurous and sporty ones. (Skala - Aponisos - Skala is approximately 12 km distance). The island of Agistri is connected with high speed boat with Aegina island.